Showing recent results 4261 - 4275 of 4364 products found. The Bedrock SM30, despite being our most basic model, is already packed with features and measurement modules. Moreover, its functionality is expended with the release of each new firmware update, at no charge. Class 2 / Type 2 sound level meter (fast, slow, A/C.Z-weighting, Leq) conforming to IEC-61672 class 2, ANSI S1.4 Type 2. Real Time Analyzer (1/3 and 1/1 octave)FFT analyzer (detailed frequency analysis up to 32768 lines). RT60 measuring (reverberation times: T20/T30/EDT). Calibrated audio recording. Leq long-term logging and averaging. 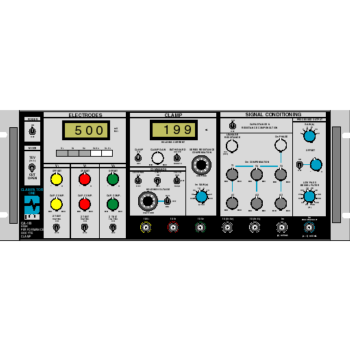 Audio oscilloscope. USB audio device mode - calibrated audio for your PC-based software applications. More functionality will be added through free future firmware upgrades. 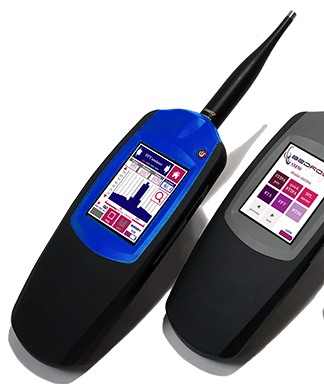 Kingfisher International is pleased to announce immediate availability of 5 Wavelength Optical Clean / Inspect / Test Kits, which are the perfect solution for contractors looking to work on multimode and single mode fiber optic systems including an additional test wavelength such as 1625 nm. The KI-TK072A - SM & MM Contractor Kit includes cleaning materials, a high quality x200 microscope, power meter and a 850 / 1300 nm LED & 1310 / 1550 / 1625 nm Laser Light Source, all fitted with interchangeable connectors, and powerful reporting software. 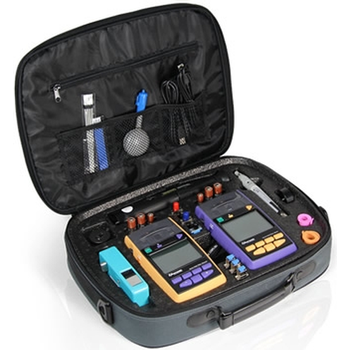 The compact molded semi-rigid carry case is comfortable to use, provides good equipment protection, and also allows users to immediately identify if anything has been accidentally left out. It has additional space for an optional VFL and various test accessories. The NSG 4070 Series is a multifunctional EMC immunity test system. 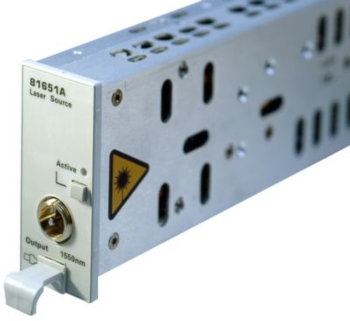 Its large frequency range from 9 kHz to 1 GHz and its modular set-up using internal or external amplifiers enable a large variety of applications including tests according to IEC 61000-4-6, various BCI applications as well as signal generator and power meter for test systems as per IEC 61000-4-3, IEC 61000-4-20, IEC 61000-4-21 and many other applications. The powerful and easy to use firmware makes the NSG 4070 independent from an external PC and control software, however it can also be remote controlled for system operation. A state-of-the-art data transfer of test and measurement data for documentation is provided by USB stick to be plugged into the front panel. MM10 - Dwyer Instruments Inc.
Our compact, low cost Model MM10 Digital Multimeter is ideal for general electrical testing and troubleshooting. 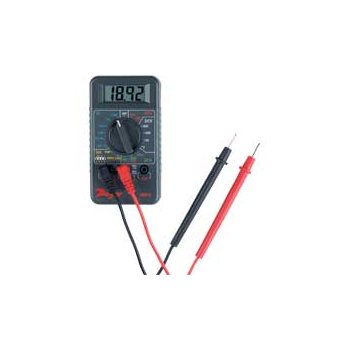 This full function multimeter measures DC and AC voltage to 600V, DC current to 10A and resistance to 20 MO. In addition to volts, amps and ohms, this meter includes audible continuity, diode, LED and transistor hFE tests. Rotary switch allows you to select from any of the twenty ranges quickly and easily. The 3.5 digit LCD features automatic polarity correction, low battery and overload indication. Rugged, high impact case comes equipped with built-in tilt-stand for versatile, hands-free operation. Overload protected to 600 VAC/600 VDC for voltage ranges and to 500 VAC/500 VDC for resistance, diode and continuity test ranges. 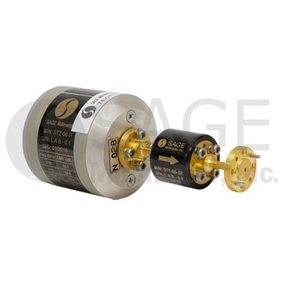 Current ranges are protected by 0.5A/250V, replaceable fuse. Multimeter is furnished with 22" test leads, 9V battery and instruction manual. 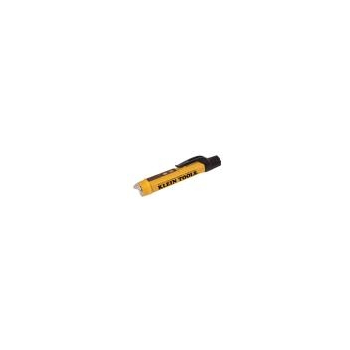 NCVT-3 - Klein Tools, Inc. Provides non-contact detection of AC voltage.Detects 12 – 1000V AC with simultaneous visual and audible voltage indicators.Bright flashlight illuminates work area and may be used independent of voltage detection function.Visual LED bar graph indicates the presence of voltage – the higher the voltage sensed, or the closer to the voltage source, the more LEDs light up.Bar graph visual voltage indicator utilizes up to five vibrant LEDs for easy interpretation/viewing.Audible voltage indicator beeps at a greater frequency the higher the voltage that is sensed, or the closer to the voltage source.“Auto Power-Off” conserves and extends battery life.Screw-thread battery cap with O-ring ensures protection against dust and water ingress.Lightweight, compact tool with pocket clip provides convenient storage and quick access.IP67: Dustproof and waterproof.6.6 feet / 2 meter drop protection.CAT IV safety rating for 1000V.Conforms to CE requirements. 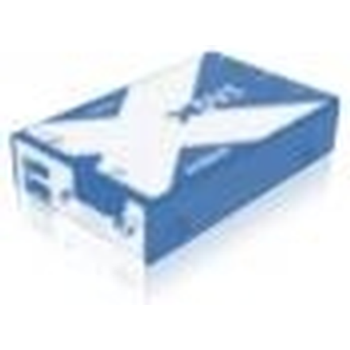 KVM Extenders encompass analog or digital video extension and control signals in a single KVM Extender product. The AdderLink KVM Extender range includes DVI Extenders, HDMI extenders and Displayport extenders all including USB Extenders. The range also has stand alone analog VGA Extenders, HDMI Extenders, DVI Extenders and legacy PS/2 Extenders. A transmitter or encoder is placed at the computer and a decoder or remote user station is placed by the monitor and control devices, e.g. keyboard, mouse, touch screen, graphic tablet or other USB device. These are connected together by means of a twisted pair copper (referred to as Cat X) or fibre optic cable. Distances supported are from 10 Meters to 10 Kilometres. RFOptic’s analog RFoF compact modules convert RF signals to optical signals and back. The Tx unit using an optical transmitter converts RF to Optical signal, and the Rx unit converts Optical to RF signal. The two units are connected by the customer’s fiber. RFOptic’s RF over Fiber modules (RFoF) are suitable for telecommunications and radar applications. Satellite, Point-to-Point antennas can be connected from several meters to many kilometers away from the control room. Base stations can be connected through fiber to remote sector antennas. Broadcasters can easily distribute their full RF streams over fiber to remote locations, therefore eliminating the need for complex equipment to be installed in far and hard to reach locations. With our wide-band units, cable operators can centrally locate their broadcasting equipment, and connect the RF through fiber to the remote location, thus reducing significantly the CAPEX and OPEX of their networks. The IC-CAP Wafer Professional (WaferPro) Measurement Bundle includes all the products needed to run automated DC/CV and RF measurements with WaferPro and the IC-CAP Platform. The bundle includes the IC-CAPW8501EP Software Environment, the LCRZ, DC and AC Measurement drivers and the W8510EP Wafer Professional Software Add-on license. The environment license enables access to the IC-CAP Platform basic features, such as the Programming Extraction Language (PEL), GPIB communications for switch matrix, probers and thermal chucks drivers and graphics. 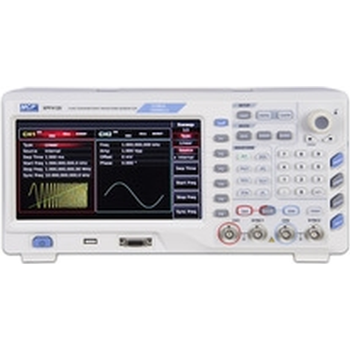 DC driversprovide access to all the DC Analyzers and Keysight Parametric Systems built-in drivers (e.g. E5270B, B1500A, 4156C, 407x and 408x Systems, etc.). LCRZ drivers provide support for different types of CV meters and Impedance Analyzers. 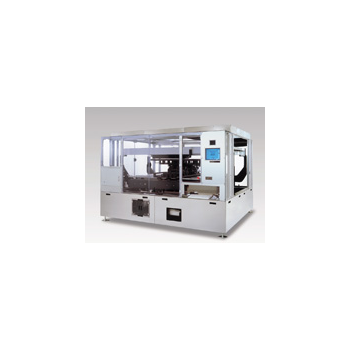 Finally, the bundle also includes the W8510EP IC-CAP Wafer professional which enables users to organize and run automated on-wafer test plan. The NanoSpec 6500 utilizes an advanced spectroscopic reflectometer to measure optically transparent films that are used in the manufacture of thin film on glass for displays and other applications. Designed for maximum throughput, reliability and accuracy, the NanoSpec measures all transparent or translucent multi-stack films on virtually any kind of substrate. Capable of handling all sizes from “tablet” size glass to G10 panels almost three (3) meters square, the 6500 is specifically designed for a wide variety of production applications. The rugged system provides precise measurements of single-layer films such as oxide, nitride and photo-resist, as well as the top layer on film stacks of up to 3 layers in the thickness range of 100Å to 35µm and features an optional 0.75µm spot for small areas. 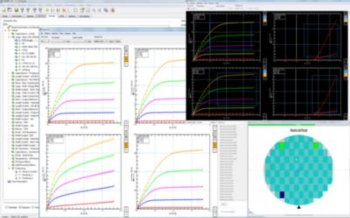 Proprietary software enables Multilayer Film Analysis with the ability to select film constants, scan ranges and substrate types, the 6500 is the ideal tool for rapid process control measurements at the production level. 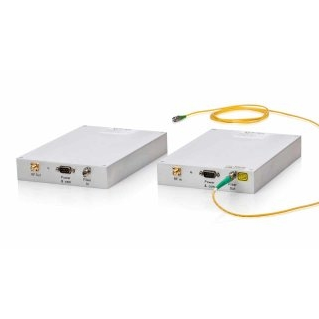 Keysight offers a broad choice of fixed laser sources, which are available as single-wavelength and dual-wavelength modules as part of the Keysight Lightwave Solution Platform.The Keysight 8165xA Fabry-Perot laser sources can be used in conjunction with optical power meter modules for insertion loss, optical return loss and PDL measurement of broadband components and fiber.The Keysight 81663A Distributed Feedback Laser Sources are best suited for amplifier test and WDM system test applications. Keysight covers PON and common WDM wavelengths with its 81663A Distributed Feedback (DFB) laser source modules. The precise tunability around ITU-grid center wavelength gives you the flexibility to match test setups to the latest requirements of the DWDM-system.The fine-tuning allows to shift the center wavelength from one DWDM transmission channel to the adjacent channel in dense WDM systems. The built-in isolator ensures highest laser stability, even when reflections are present in the optical path. Full band noise figure and gain test extenders are offered to extend noise and gain measuring capabilities up to higher millimeterwave frequency ranges. These extenders are designed to interface with noise and gain test systems that have an input IF of 10 MHz to 1.6 GHz, such as the industry standard Keysight 8970A/B, N8975A and Maury MT 2075B. The noise figure and gain test extenders include a high-performance, solid-state noise source (STZ series) and a full waveguide down converter (STC series), which consists of a Faraday isolator (STF series), full band mixer (SFB series), frequency multiplier, and IF amplifier. A frequency source with an output signal in the frequency range of 10 to 20 GHz is required as a local oscillator for the down converter. The noise source is automatically powered on and off by the noise figure meter. Full band noise sources are silicon IMPATT diode-based, solid-state noise sources. These noise sources implement a high performance diode and propriety circuit design to offer high ENR with extreme flatness across the entire waveguide bandwidth. 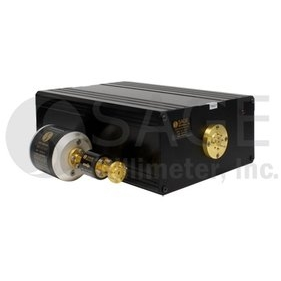 The below standard models cover the frequency range of 26.5 to 170 GHz and feature an integrated Faraday isolator to improve the port VSWR for a more reliable noise figure measurement. The operating voltage of the standard models is +28 VDC via a female BNC connector, which is compatible with industry standard noise meters, such as Keysight models. In addition, these noise sources can work in either a CW or pulse AM operation mode. The AM modulation mode is triggered by a TTL control signal via a female SMA connector. While standard models are equipped with a waveguide interface, other interfaces are available as custom models.